The workshop portion of the festival is now well underway. Day 2 featured a group ear training class to start the morning followed by masterclasses with instructors on all instruments. Len Aruliah and Ed Orgill gave a saxophone class, while other classes were offered for brass, guitar, bass, drums and piano at the same time. During this time instructors are able to give more individual attention to students needs. 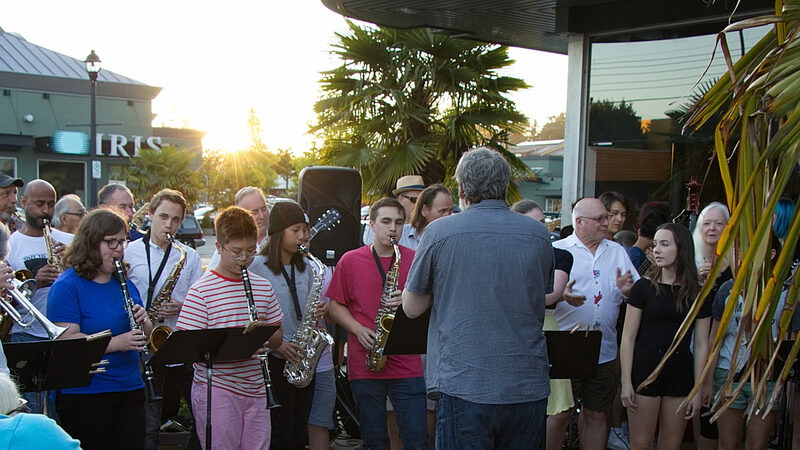 After an afternoon of ensemble rehearsals we finished the day with a live Jam session with all the students outside of Petra’s Arts Kafe in Tsawwassen.